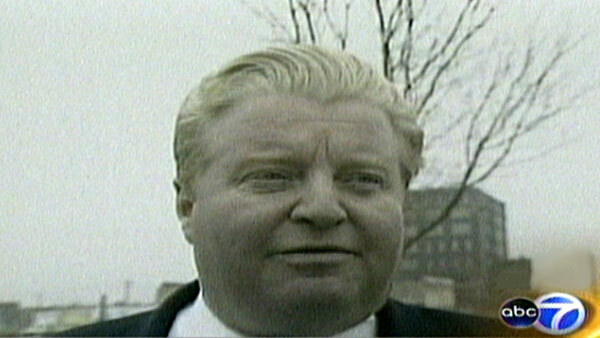 CHICAGO (WLS) -- Former Chicago police commander Jon Burge was cut loose a day before his scheduled release from a federal halfway house in north Florida. Burge, 67, served 4 1/2 years for lying about the torture of suspects in his custody decades ago when he worked as commander of the Chicago Police Department's Area 2 Violent Crimes. Burge's planned release, albeit a day early, will allow the gruff ex-police official to resume living in his waterfront home in Apollo Beach, Florida, which is near Tampa. While on parole he will be required to report regularly to a parole officer and fulfill the other routine, official requirements of ex-cons. The release of this controversial ex-cop is not unexpected nor does it come as a surprise to his victims. They were notified last year in a letter from the US Bureau of Prisons that he was being moved to a halfway house and then would be paroled in mid-February. His release date was set for Saturday, Feb. 14, 2015, but because it fell on a weekend, authorities moved it up a day. "I would have been much happier with a much longer sentence but I don't know if any sentence would really do justice" former First Assistant U.S. Attorney Gary Shapiro said during a recent interview. Shapiro supervised the Burge prosecution. Burge reported to prison in March 2011 after being convicted for perjury and obstruction in a scandal that continues to cost Chicago taxpayers millions of dollars in legal settlements. He was initially incarcerated at the Butner Federal Correctional Complex in North Carolina. More than 100 people accuse Burge and officers under his command of shocking, suffocating and beating them into giving false confessions in the 1970s and 1980s. No one has ever been criminally charged with the actual torture, but he was convicted in 2010 of lying about torture in a civil case. "the sorts of things (Burge) did to his victims, the sorts of things he did to the reputation of the Chicago Police Department are really beyond measurement. I don't know what justice is for a guy like Jon Burge," Shapiro said. "I don't know if any time in prison is sufficient justice for Jon Burge."